Dixie, my 2 1/2 year old chocolate Lab, loves blankets anything that resembles a blanket. She’s often in my sewing room keeping me company and always manages to find some unfolded fabric or quilt top in process to nap on. Last night after shooing her off the backing for my Windowpane quilt, I decided to make a small quilt just for her. I finished the top today and started preparing the binding, but haven’t gotten around to quilting it yet. I think she likes it already! I’m linking up to these sites – check out what other people have been up to! 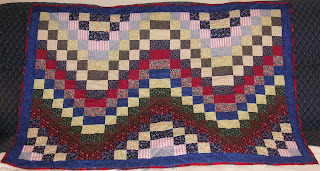 This entry was posted in Dixie, quilt, WIP. I’ve also started piecing squares for the backing – I’m still brainstorming on the pattern though. Now the burning question: How should I quilt this? I’d love to hear any ideas you have! Check out other people’s creations at one of these great sites! This entry was posted in quilt, windowpane, WIP. 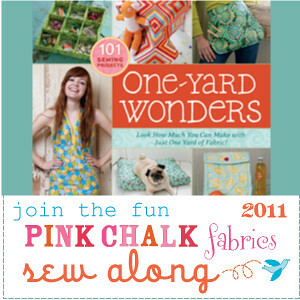 If you follow Pink Chalk Studio, you know that they have a sew-along going on all year long using One-Yard Wonders by Rebecca Yaker and Patricia Hoskins. The fabric is Michael Miller’s Bright Paisley Black & I love how it coordinates with my blue laptop! I’m linking up to the Strut Your Stuff Link Party at Somewhat Simple! I’m posting these pictures to the One Yard Wonders Sew Along 2011 Flickr Group. 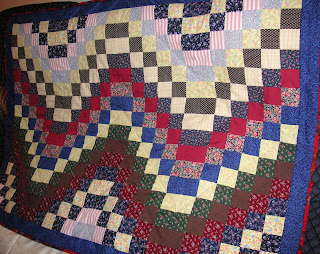 This entry was posted in laptop, One-Yard Wonders, quilt. I’ve finished the 20 squares and decided on the layout but haven’t sewn it all together yet. It’s loosely based on this quilt and this quilt. 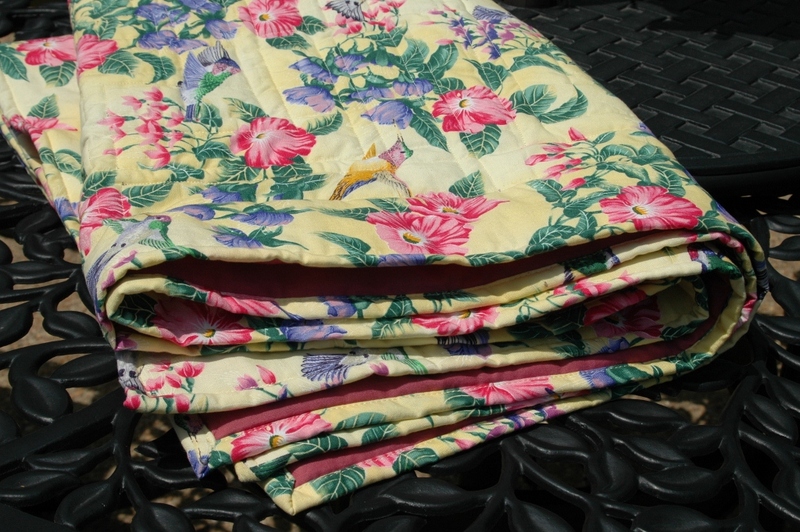 I’ve posted close-ups of the fabric on flickr. Don’t forget to check out other projects people have added for W.i.P. Wednesday at Freshly Pieced – just click on the button below! This entry was posted in quilt, WIP. (Get it? Instead of “Signed, Sealed, Delivered”?) I finally finished the baby clothes quilt today – this is quilt #3 for me! This entry was posted in baby, quilt. I’m at laundromat washing the baby clothes quilt I finished the other day (but have not yet delivered) because it’s too big for my very basic washer & dryer. This will be my third quilt, but the first one that I’ve actually washed before delivering. Is it weird that I feel like it’s my baby and I keep peering through the little round window to make sure it’s ok? This entry was posted in baby, quilt, wash.
I’ll post the final pictures later today! Don’t forget to check out other projects people have added for W.i.P. Wednesday at Freshly Pieced – just click on the button below! This entry was posted in baby, quilt, WIP. I’ve finally finished cutting and laying out the 1,600 2″x 2″ pieces of fabric required to make Elizabeth Hartman’s Tokyo Subway Map Quilt, a quilt-along she posted on her blog Oh, Fransson! I’m making this one for myself and am really excited to see how it turns out! 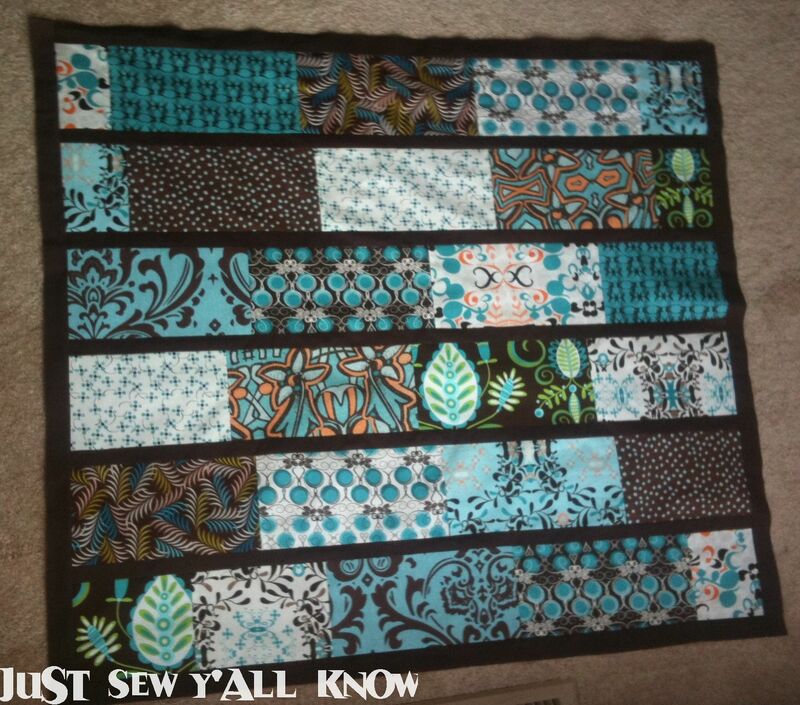 This entry was posted in fabric, quilt. I hand delivered this quilt to my grandmother today! 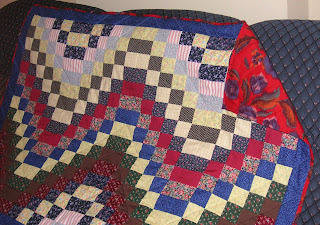 It has a lot of the same fabrics as my 1st quilt, which I made for her mother (shown on the left in the picture below). I used a Bento Box pattern I obtained from Trudi Skene. I would link to her blog, but it has been taken down since. I machine pieced and quilted it myself. This entry was posted in Bento Box, quilt. 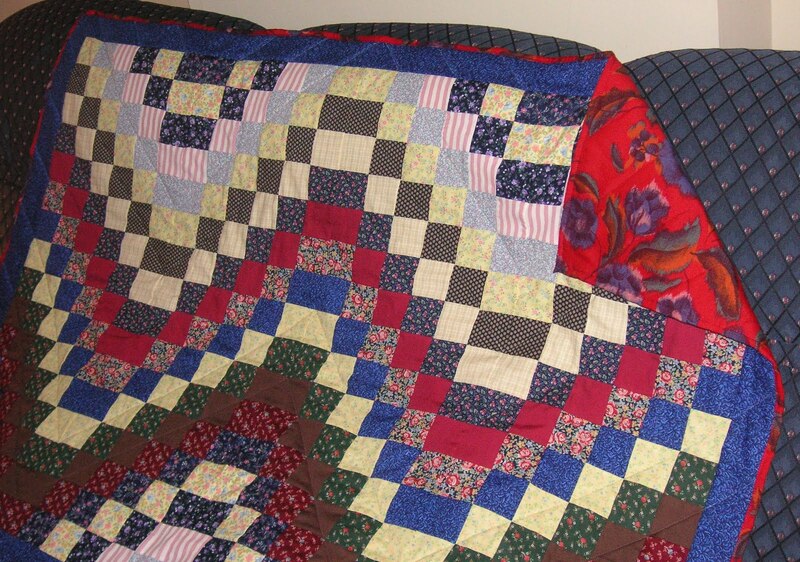 I made this lap quilt in 2007 for my great grandmother’s 100th birthday. She was a quilter and always making little sewing and quilting goodies for me and my sister. I used the Scrappy Bargello tutorial by Bonnie K. Hunter located here. I pieced and quilted it by machine. I’m sharing this quilt as part of Bloggers’ Quilt Festival hosted by Amy’s Creative Side! This entry was posted in bargello, Bloggers' Quilt Festival, BQF, first, quilt.